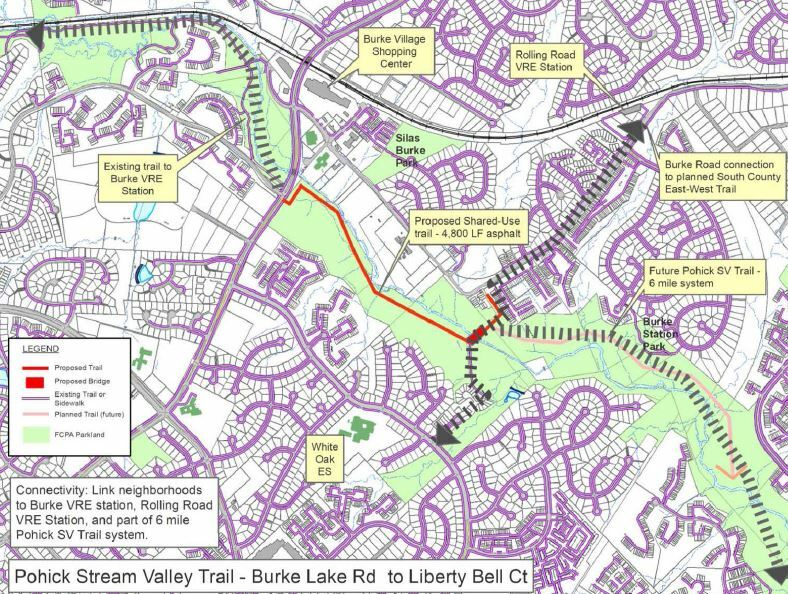 The Liberty Bell Trail, the newest segment of the Pohick Stream Valley Trail in Burke, will be opened on Saturday, 3 June. Members of the Fairfax County Board of Supervisors, Park Authority Board, and Fairfax County Park Foundation Board will be there for a ribbon-cutting ceremony at 10:00 am. 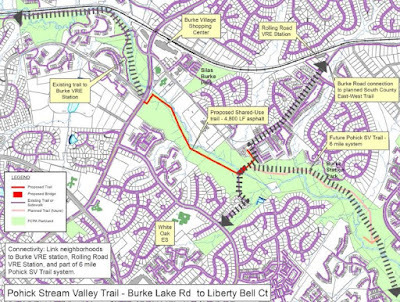 The Trail is located at 9239 Burke Road and can be accessed from Burke Road near Liberty Bell Court. FABB encourages our members in the area to go out and show some love and support to the new trail and the various county officials and board members who made it happen. Saturday also is National Trails Day, so this is a great opportunity to show your support for all trails with a nice ride along the new trail. I see on the map a "Planned South County East-west trail". Anyone know what that is?